Asgard, the realm of the gods, remains locked in an eternal struggle between the benevolent Aesir and the demonic Vanir. With the end of the world approaching, Odin, Lord of Asgard, summons Lenneth Valkyrie to his side. Possessing the ability to hear the thoughts and feelings of men and women in their dying moments, he charges Valkyrie to search Midgard, the world of mortals, to recruit and train the souls of worthy warriors to join the ranks of the Aesir in the Sacred War. 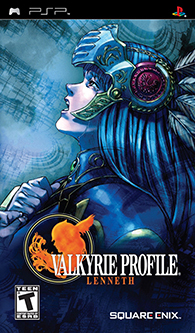 Valkyrie Profile: Lenneth brings the classic PlayStation® game console title, originally released in 2000, to the PSP system with completely new CG cut scenes. tri-Ace, the developers behind the acclaimed Star Ocean series and "Radiata Stories", introduce new fans to the spectacular combo attacks, unique side-scrolling environment, and gripping storyline that first captivated players six years ago. To give players a deeper understanding of the plot and to complement the game's dramatic storyline, additional CG cutscenes have been incorporated. Some of these new scenes contain links to the story of "Valkyrie Profile 2: Silmeria". Now you can add videos, screenshots, or other images (cover scans, disc scans, etc.) 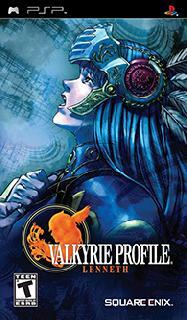 for Valkyrie Profile - Lenneth (USA) to Emuparadise. Do it now!